This was an awesome race and is probably one of my all time favourites. It's a six person relay race across Lake Tahoe. For anyone that has never been to Tahoe it's the most beautiful place in the world. I competed in the 'Sydney Tattersals' team, Codie and Ridge (my two younger brothers) were also in the team along with our captain, Peter Theil, Alex Studzinski and Yoelvis Pedraza. We ended up winning by seven minutes and we also broke the old record. The Olympic Club organise this event and they did a great job. Click 'here' for the post race story. Sydney Tattersals - Team Australia! 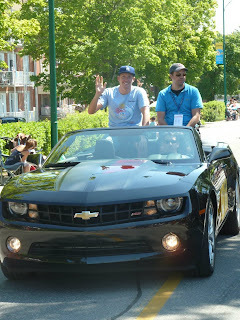 After Tahoe, Alex and I travelled together to Roberval to compete in the Lac Saint Jean Grand Prix. This is the most prestigious marathon of the year, it's worth the most amount of points and prize money on the Grand Prix circuit. Lac Saint Jean is known to be very cold and the conditions can be quite tricky too. For this race Alex and I stayed with Alain and Annabelle Ross. They were a fantastic host family and did everything they could to make us feel welcome. I also stayed with the Ross family last year for the same race. This race is a very tactical race and it always starts off super slow. Sometimes it's just as hard to swim slow as it is to swim fast. Swimming slow in cold water makes you more cold and the more likely chance that you'll get hyperthermia. I made my break after four and a half hours and ended up winning by seven minutes. After the race I dedicated my win to Francine Harvey, Alain Ross's wife who passed away one month before with cancer. I know she would have loved to have seen this race! Click 'here' for the post race story. Winning Lac Saint-Jean, the most prestigious marathon in the world! My coach Leandre and me in our Mustang at the post race celebrations! After Roberval, Alex and I picked up a new travelling buddy, Anna from Russia. The three of us somehow managed to squeeze into our tiny car with all our luggage and drove to Magog. Peter and Jackie were our host family for this race, they were fantastic! 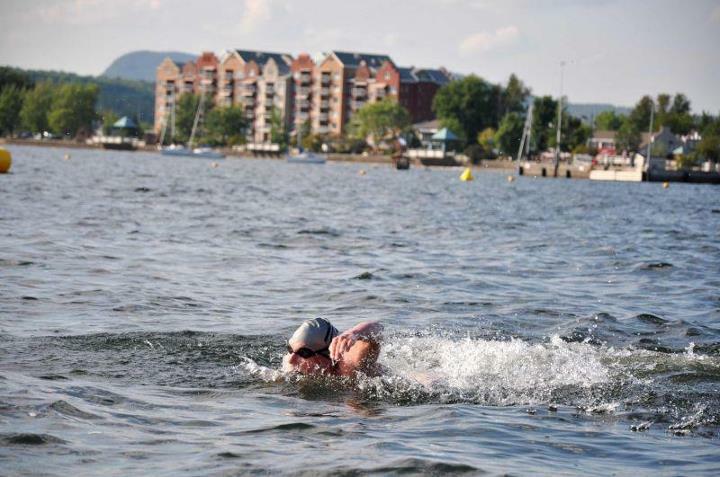 The water temperature for this race is a little warmer than the week before but it's 2km longer. Again this race always starts off so slow. I remember my coach holding up a sign after two hours letting me know that we had only swam 7.5km, no one wanted to lead. I ended up breaking away at the half way point (three and a half hours). I won this race by six minutes. I also won the 2km sprint race they had on the day before! Click 'here' for the post race story. 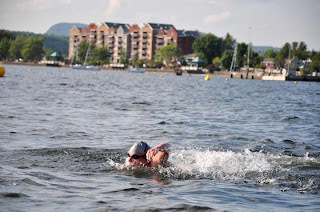 The last few hundred metres of Magog! Our secret training pool in Magog! The parade before the race we were all given different cars with our country flags! After the twelve hours in transit I finally arrived in Macedonia but I was unsure whether or not anyone from the organising committee would be there to pick me up from the airport... lucky for me someone was there! I had never been to Macedonia before and I never even knew it was a country until three years ago when I met a Macedonian but it's a really beautiful country. Everything is cheap! 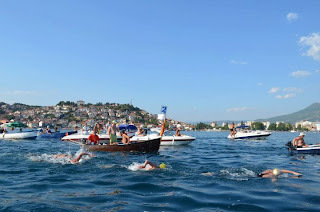 I placed second in this race to Petar Stoychev. There was a pack of five of us until about five hundred metres to go when Petar started his sprint. I just didn't have the speed I needed to match him. Click 'here' for the post race story. Because this was the last Grand Prix race of the year they also awarded the overall point score winners and as I finished on top I was awarded the 2012 FINA Grand Prix Champion. Petar Stoychev is the only other person to have ever won this award! Click 'here' for the story. 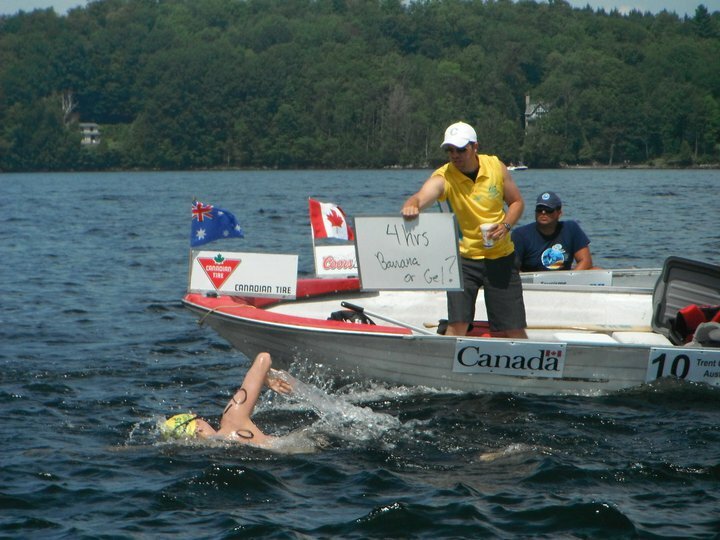 For all three races in Canada and also this race I had Leandre Lapointe as my coach/feeder. Leandre was my coach in these races last year too. We make a great team and I'm very lucky to have him! 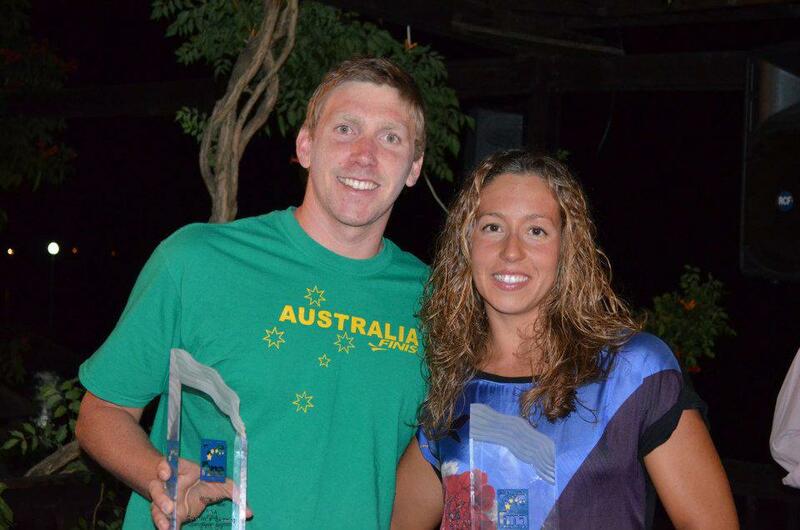 2012 FINA Grand Prix Champions! I travelled from Macedonia to Poland with my friend Pilar and her father Mario. Here I met up with my home coach from Australia, Harley Connolly. This is the first year this race has been run and the organisers did a great job with it. We swam the 18km from Hel to Gdynia in cold water passing millions of jellyfish. Again I placed second in this race to Petar, I just didn't have the speed to go with him. While swimming all these marathons has improved my endurance it's also taken away my speed, after each marathon I've done this last six weeks I can feel my speed has slowly been disappearing. I would have loved to race Petar in Macedonia and Poland when I was fresh, I think the races would have been a lot closer than they were! Click 'here' for the post race story. 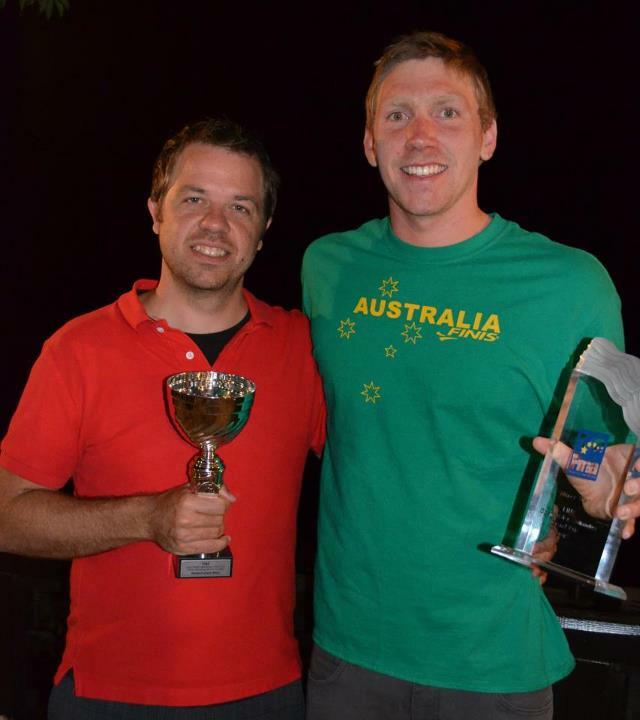 Thomas (race organiser) and me! Gdynia Beach- After the race! Swimming the English Channel is quite expensive and trying to find sponsorship proved to be very difficult but I would like to thank DWO Group and 1Vigor for both contributing. At the moment the weather is not too good over here but hopefully I'll be able to swim the channel in the next few days. My fingers are crossed! 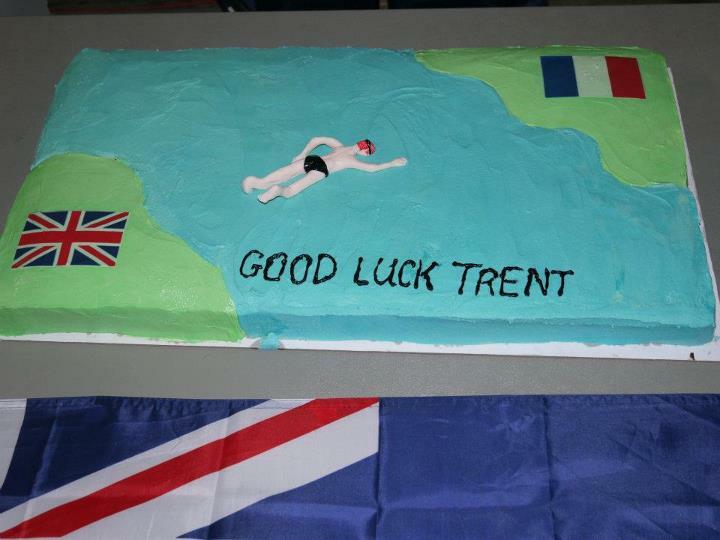 This is the cake my swimming club made for me just before I left Australia!